The author of Corto Maltés has lived productive years of creation in Argentina. 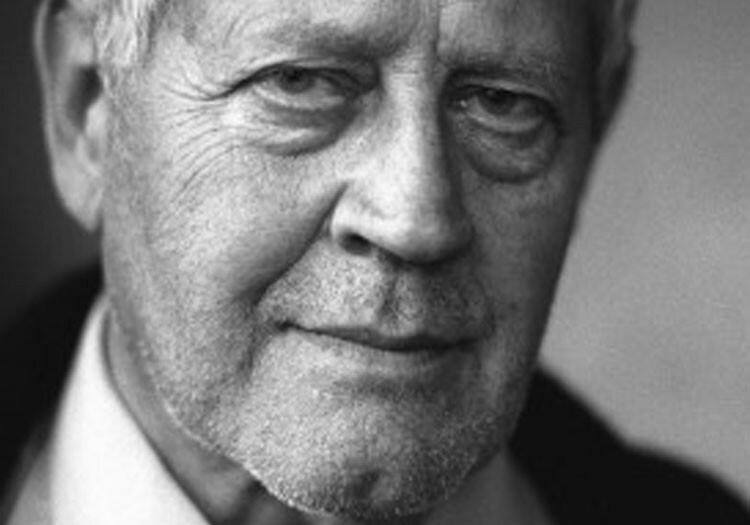 “I do know thirteen different ways of re-telling my life, and I do not know whether there is a true way or if any of them is more accurate than the other”, explained Hugo Pratt in his autobiography El deseo de ser inútil (The desire to be useless) (Robert Laffont). He was born in Italy in 1927 and he spent all his childhood in Venice before meeting his military father in Ethiopia taken by Italy since 1935. There he discovered and hated fascism and colonialism, he started to draw and found himself in the middle of the Second World War and enrolled with the German police from where he could escape to join the allies. In 1949, at the age of 22, he took a ship to Argentina where he would live for more than ten years. He had already started his career as a draftsman with “l’Asso di Picche”, his first story published by an Italian magazine. He loved adventures and went around the world several times. And thus he could nourish his imagination and characters from the meetings and discoveries. In Buenos Aires he drew several stories in some magazines: investigations of Detective Ray Kitt, Sargento Kirk, Ticonderoga, Ernie Pike. 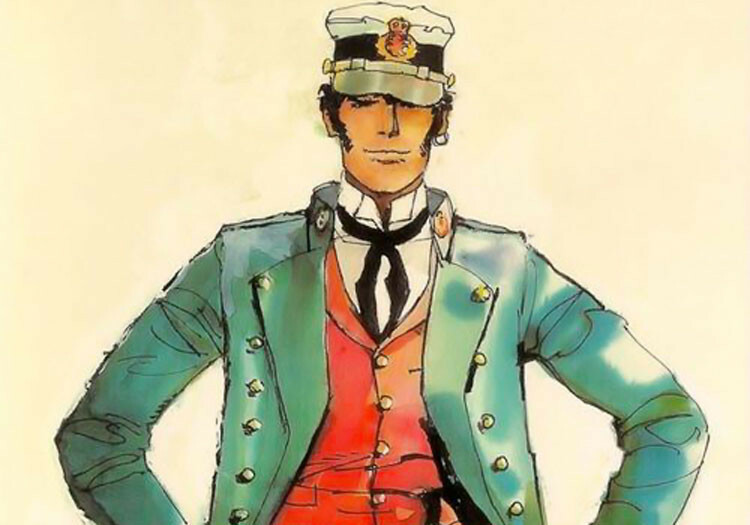 Corto Maltés appeared for the first time in 1967 in an Italian magazine Sargento Kirk called La balada del mar salado (The salty sea ballad), a story written and illustrated by Hugo Pratt. Corto was still a secondary character but he would soon become the hero from other stories, Pratt’s stuntman. Success arrived in the 1970s in France, Belgium and Italy. 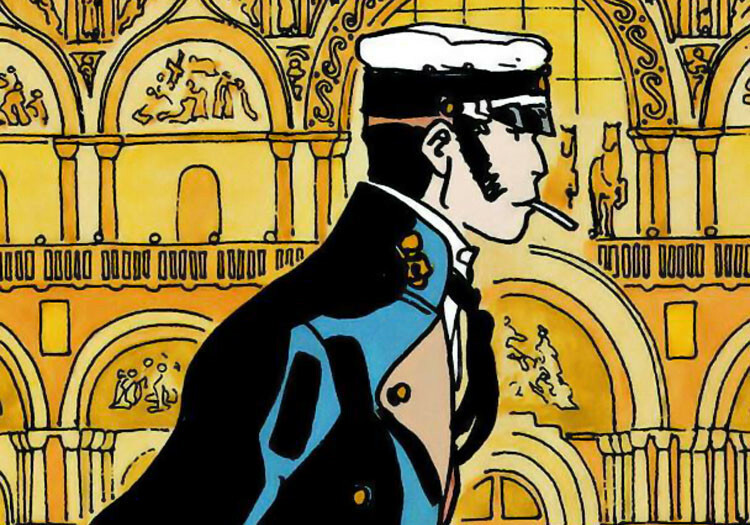 From the first episode of Corto Maltés, Hugo set a new renewed manner, the comic codes, giving to narration the same importance as to the drawings. His character, full of poetry and sensuality, was so deep that seemed to truly exist, even more after the meetings and along his pilgrimages with true characters (Jack London, Hermann Hesse, Butch Cassidy…). The drawing was pure, in black and white, to obtain an expressionist effect and simulate those environments. 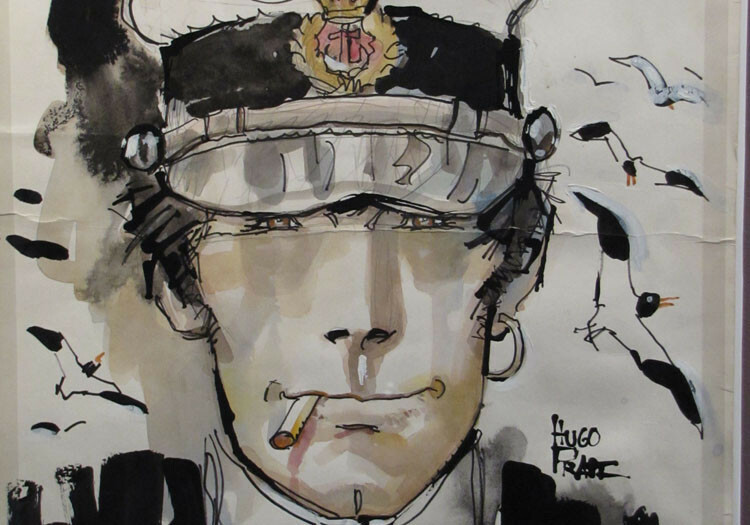 Hugo Pratt worked in two books together with his compatriot and friend: Milo Manara. Together they published El Gaucho in 1911: the history of the English invasions into the Río de la Plata at the beginning of the 19th century. Pratt created Los escorpiones del desierto (The dessert scorpions) and illustrated “Lettres d’Afrique” by Rimbaud and Poems by Rudyard Kipling. 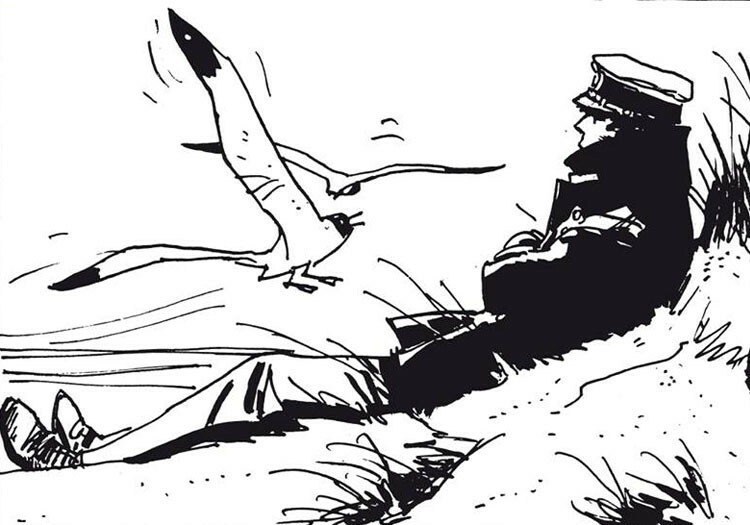 In El último vuelo (The last flight), he retells the tragic ending of Aeroposta forerunner and writer Antoine de Saint-Exupéry after publishing his new book, Morgan, just before being beaten by cancer in 1995. Corto Maltés travelled some time for different places until he finally chose an occupation: a millionaire handsome young man. In other words: the romantic version of a gypsy. 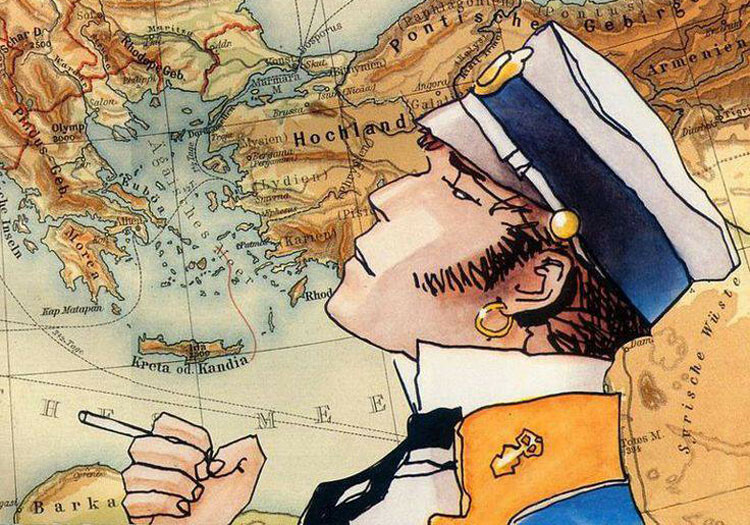 In 1913 he was on a remote island from the South Pacific (La balada del mar salado (The salty sea ballad), 1967) when he was already enchanting with mysterious glamour, some sort of a sailing dandy with his beloved ornaments: an earring on the left side and a captain cap. Without being cruel enough to be a free-spirited gypsy, he led where the adventure and curiosity took him: to Ireland (Las célticas (The celts)), Ethiopia (Las etiópicas (The Ethiopian)), Venice (Fábula de Venecia (Venetian Fable)), China and South America, specially to the Caribbean and Brazil (Bajo el signo de Capricornio (Under the sign of Capricorn)). Corto Maltés enjoyed going after treasures (Corto Maltés in Siberia), La casa dorada de Samarkanda (Samarkanda’s golden house)) and everything related to any way of dark forces, black magic, legends and esoterism. He met beautiful and captivating women but he never met a true love. In 1925, he left in search of Atlantic (Mû: el misterio del continente perdido (Mû: the mystery of the lost continent), 1988). And we lost trace of him up and until his 40th birthday. He disappeared during the Spanish War and later in Chile… that was Corto’s last story. In Tango (1987), Corto Maltés was back in Buenos Aires after fifteen years of absence. In search of a friend who had disappeared, he ran into his old friends Butch Cassidy and Sundance Kid. Butch had already been turned into a big land-owner in Patagonia. Stories of bandits, prostitution, and corruption in the mafia circle from Buenos Aires in the 1920s… and of tango, music related to years of youth of Hugo Pratt in Argentina, a tango that wrote its story at the moment when Corto came back to Buenos Aires in 1923. A night environment with stoned streets and farolitos (streetlamps), with cafes and trams, with the sky and two moons to be able to tell a story such as a black novel. After the death of Pratt, he published an edition of Tango acompañada de un disco (Tango accompanied with a disco), Los Tangos de Corto (Corto’s Tangos) by Esquina trio. And the original title of Pratt’s work, Y Todo a media luz (And everything in middle light), was inspired by the tango written by Donato in 1924, A Media Luz. The adventures of Corto Maltés were edited by Casterman.